VTube-LASER software was developed by Advanced Tubular in 2009 and has been selling since 2010. ROMER arms have been selling since Homer Eaton partnered with Romain Granger in 1986. 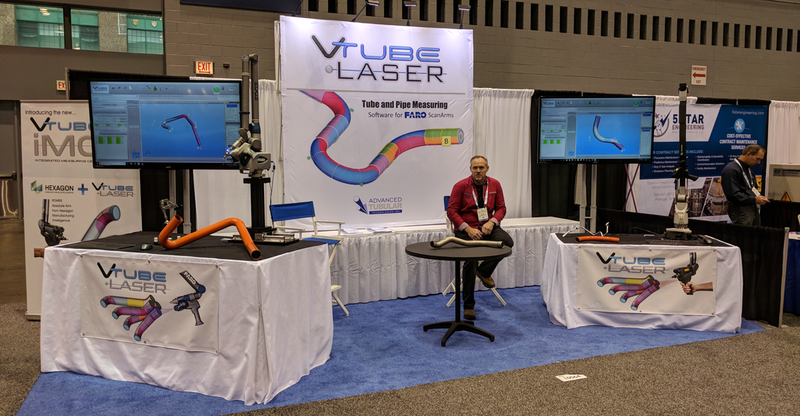 However, it was only on November 1, 2017 that we introduced the connection between VTube-LASER and the ROMER Absolute Arms. 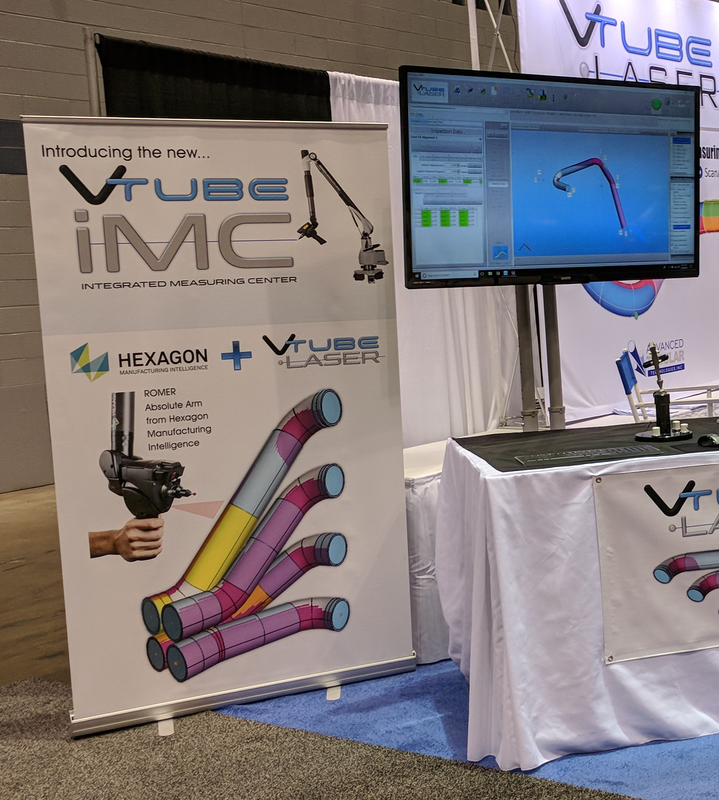 Now only one month later (December of 2017), MDC Vacuum Products has issued a purchase order for a VTUBE-iMC (Integrated Measure Center) system with VTube-LASER software plus a ROMER Absolute Arm with integrated scanner. MDC Vacuum is the first customer to purchase the VTUBE-iMC system. Doug Klein (HEXAGON rep) and Michael Cone (VTL developer) demonstrated the PC-DMIS and VTube-LASER software solutions in a joint demonstration on November 28, 2017. They were so impressed that they issued a PO for the first system shortly after the visit. 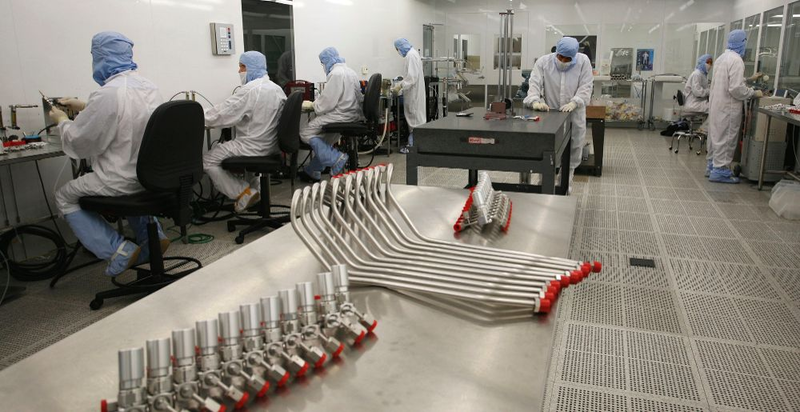 They plan on purchasing multiple systems for use with bender setup and tube shape qualification in clean room applications for multiple factories. 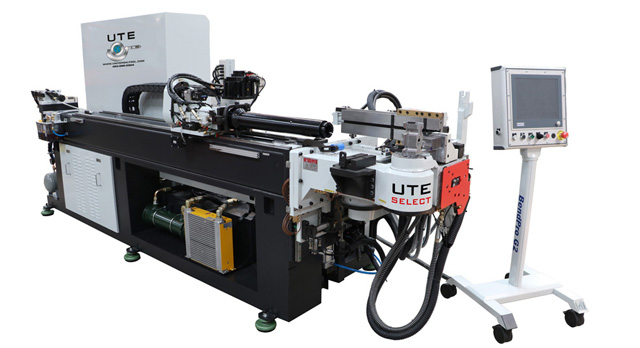 Each factory will have UTE benders with BendPro controls from Universal Tool & Engineering in Johnson City, Tennessee. VTube-LASER will connect directly to the benders for setup and correction. FABTECH 2017 Chicago (November 6-9) continues to be the most important show for us - especially this year. 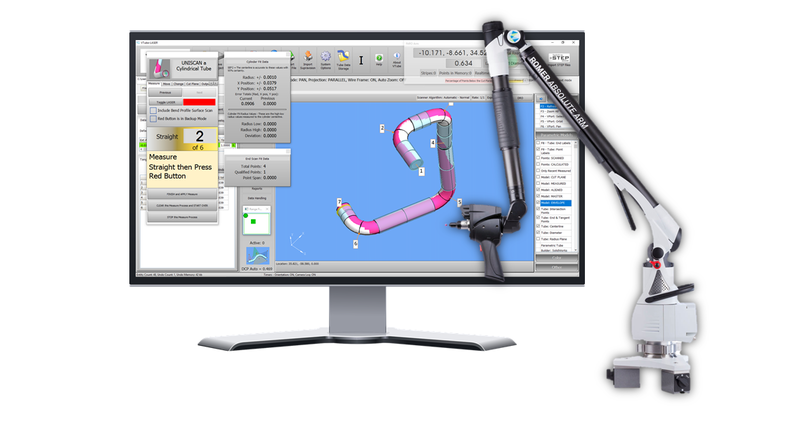 This was the first year that we introduced our ability to connect to the ROMER Absolute Arm from HEXAGON. The reception to this change was very positive, especially considering the ROMER price point and its excellent scanning capabilities. So now we can offer connections to two excellent systems: FARO and ROMER. I look forward to the addition of the ROMER system and working with HEXAGON in future opportunities for the new VTUBE-iMC system. Why are we calling the new system the VTUBE-iMC? Welcome to my first blog entry for VTUBE-iMC. This is where I plan to share information, developments, tips, and ideas relative to the new VTUBE-iMC system. Why are we calling the new tube measuring center system the VTUBE-iMC? I needed a name that would indicate a new level of VTube that integrates software and hardware together into a single measuring center. I considered a lot of suffix names attached to the prefix "VTube". We settled on a simple acronym that is easy to pronounce and carries meaning - which means that it is (hopefully) easy to pronounce and remember. The suffix "iMC" means "integrated Measuring Center". Of course, the lowercase "i" in the beginning looks like all the other lower case "i"s in other logos that mean "internet". However, in some type fonts (like this one) the lower case "L" is this: "l" - which looks like a capitalized "i". We certainly don't want to create confusion, so I opted for the lowercase "i". Also, I decided to change the case of VTube to VTUBE for this system name. "VTube-iMC" looks a bit weak and unbalanced. But VTUBE-iMC looks bold and strong. That 's the extent of my thinking behind the new brand name. Hopefully it fulfills its mission. Michael Cone is the developer for VTube-STEP, VTube-LASER, VTUBE-iMC, and other tube-fabrication niche programs.